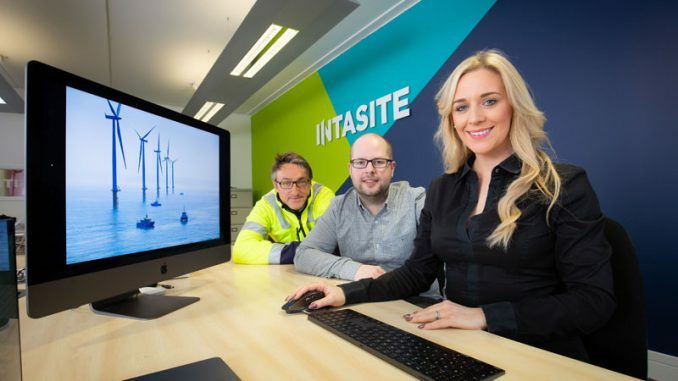 Teesside University and Hartlepool Sixth Form College are pooling their collective expertise to provide even more opportunities for young people to excel with specialist digital qualifications. The two institutions have signed a formal Memorandum of Understanding which will see increased collaboration and engagement for the benefit of students on a broad range of courses. 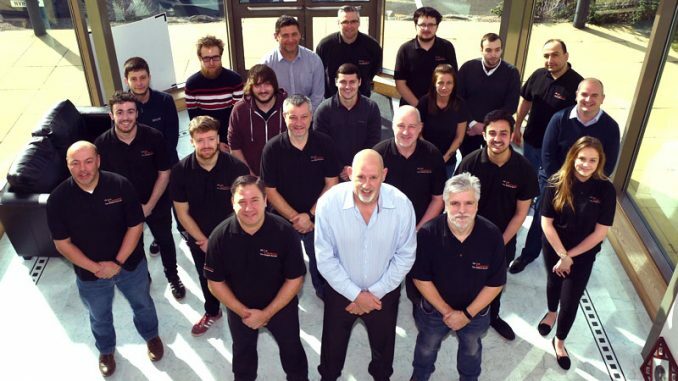 Hartlepool Sixth Form College and Sunderland College successfully merged last year and jointly they have invested over £400,000 in highly specialised, industry standard digital facilities. This includes the very first Digital Academy within Hartlepool Sixth Form College with virtual reality labs, green screen facilities, motion capture equipment and Playstation 4 Development kit. The college is also one of a small number in the country to offer NextGen qualifications and it works with some of the industry’s top employers, including Sony, Microsoft, Double Negative and Ubisoft. The first cohort of students in the Digital Academy are studying Games Design and Animation and there are plans to launch further courses in Computer Science, Cyber Security and Coding at A-level or equivalent. The college has signed the Memorandum of Understanding with Teesside University as a way to develop progression pathways into higher education and to provide additional opportunities for students, as well as to collaborate on research training, events and staff development. Teesside University’s School of Computing, Media & the Arts is at the forefront of digital technology and is a centre of excellence in the creative and digital aspects of computing, games and animation, web and multimedia. It is also home to Animex, one of the world’s largest festivals of animation and computer games which, next year, celebrates its 20th anniversary. The school provides a world-class learning environment with cutting edge hardware and software and its graduates have gone on to work at some of the biggest studios in animation and computer games, including Disney, Pixar, Microsoft and the BBC. Alison Brown, associate dean for marketing and recruitment in Teesside University’s School of Computing, Media & the Arts, said: “We are delighted to sign this new Memorandum of Understanding and it demonstrates the desire of both institutions to provide the very best opportunities in digital technology. “It is about continuing to put the student experience at the heart of everything we do and sharing knowledge and best practice to build on the fantastic work which is already being carried out. 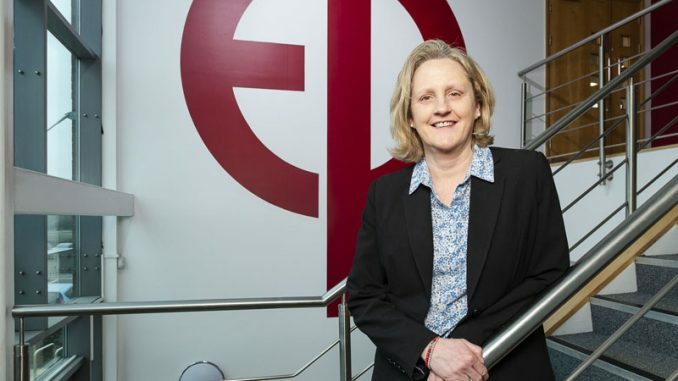 Ellen Thinnesen, principal and chief executive, has overall responsibility for both Hartlepool Sixth Form College and Sunderland College. 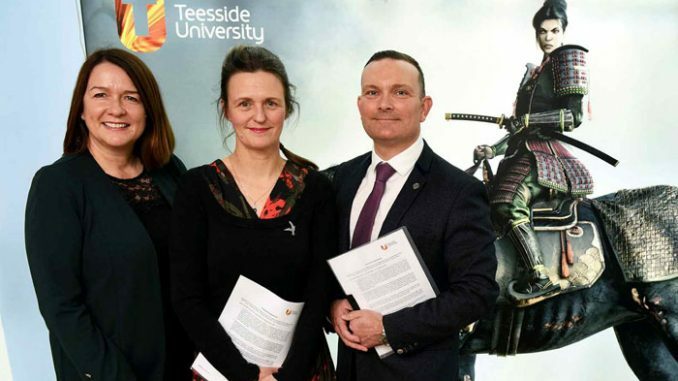 She added: “We are delighted to be working so closely with Teesside University and to sign a formal Memorandum of Understanding with an institution which has a global reputation for games, animation and digital technology. Mark Hughes, head of Hartlepool Sixth Form College, said: “We are extremely passionate about our Digital Academy and believe we have a first-class facility which is vitally important to young people in this area.